RSLogix 500 is required to program the SLC 500 range and RSLinx. 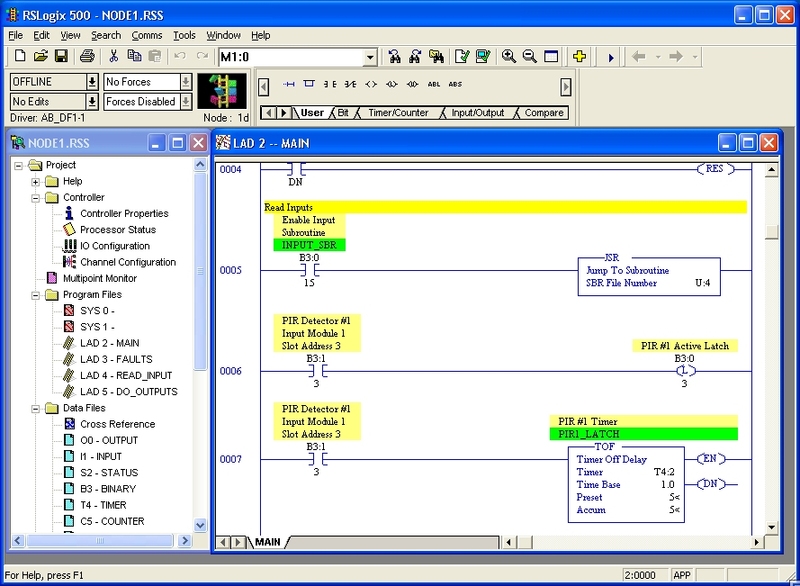 is required to communicate with the target PLC for program download or on-line monitoring. A comprehensive description of how to program the SLC 500 with RSLogix is beyond the scope of these web pages - there are many other resources available on the Web to do that. I have included a brief overview here and provided some pointers to additional resources which do the subject much more justice that I can. 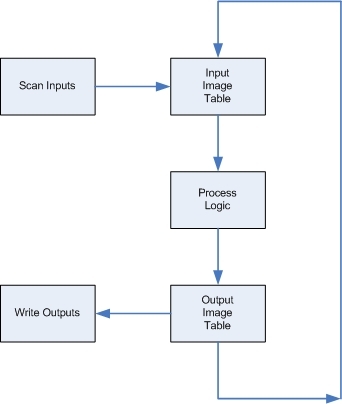 Before you begin to program though, it is necessary to have a basic understanding of how the PLC works and how the memory in an SLC 500 is partitioned to support that. The diagram below is overly simplistic - but hopefully, conveys the basic principles. 1 Address range is processor specific. 2 Only the SLC 5/03 series B processor supports floating-point data type. Do not use this area for processors that do not support floating-point data. 3 If non SLC 500 devices exist on the DH-485 link, use this area for network transfer. You can use either binary (B) or integer (N) file types by specifying the appropriate letter for x. Otherwise, you can use file 9 for user-defined files. 4 Use this area when you need more binary, timer, counter, control, integer, floating-point, or network files that will fit in the reserved files. You can use binary (B), timer (T), counter (C), control (R), integer (N), floating-point (F), or transfers (B and/or N) file types by specifying the appropriate letter for x. You cannot use this area for output image, input image, and/or status files. 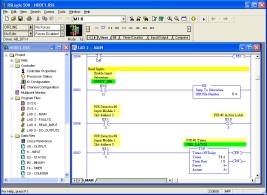 Full details of the controller memory structure can be found in the SLC 500 Family of Programmable Controllers Addressing Reference Manual (5000-6.4.23 February 1995).